Out of all the responsibilities you’ll have while working as a paralegal, perhaps the most important is performing legal research. However, unlike in times past, the majority of legal research is now done online. If you are unable to use these online research tools effectively, then you will struggle to find employment as a paralegal, possibly causing your career to end before it even begins. 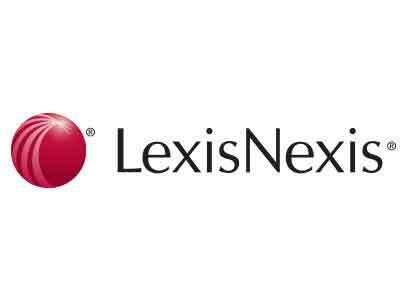 The most popular online research tools for paralegals are those featured on lexisnexis.com, particularly Lexis Advantage. If you want to make yourself more attractive as a paralegal candidate, an excellent idea is to earn your LexisNexis certification, which provides proof to law firms that you will be able to complete the important research tasks they rely on. If you’re considering working towards your LexisNexis certification, the best time to do it is while you are completing your paralegal studies. LexisNexis offers a certification program for students that will train you on their most popularly used software and will prepare you for a career as a paralegal. There are many advantages to becoming certified while you are earning your degree. First, since your time is already dedicated to learning the paralegal profession, this is simply another component. Secondly, if you are already certified with an industry leading research tool and possess your degree, you will have an advantage over other paralegals and may find it easier to find employment. Other than increased employment opportunities, the biggest advantage of achieving your LexisNexis certification is that it can be completed in a relatively short amount of time. The certification program is comprised of five modules. Each module takes one hour to complete and contains online quizzes to make sure that you have learned the necessary information. So, by spending five hours of your time, you can boost the success of your career. The first module will introduce you to lexisnexis.com and the Lexis Advance system. Once you are familiar with accessing the system, module two discusses secondary sources and case analysis. Module three is focused on researching statutes and regulations and module four covers researching case law. The last module, module five, will teach you how to check citations with Shepard’s ® Citations Services. When you have successfully completed all five modules, you will receive your LexisNexis certification, which can be include on any resumes you submit to law firms. Why is LexisNexis Certification Important? Primarily, earning LexisNexis certification is important because it increases your chances of being hired as a paralegal at a top law firm. However, there are more benefits than improving your ability to be hired. Understanding the LexisNexis system and becoming certified in its use will make you a more successful paralegal. You will be more easily able to complete vital legal research and will allow you to be a valuable resource to this law firm. Although LexisNexis certification is not required for becoming a paralegal, it’s easy to see how it can aid your career. Completing your LexisNexis certification will lead to more career opportunities and a higher level of success. Anyone pursuing a career as a paralegal should strongly consider earning their LexisNexis certification.